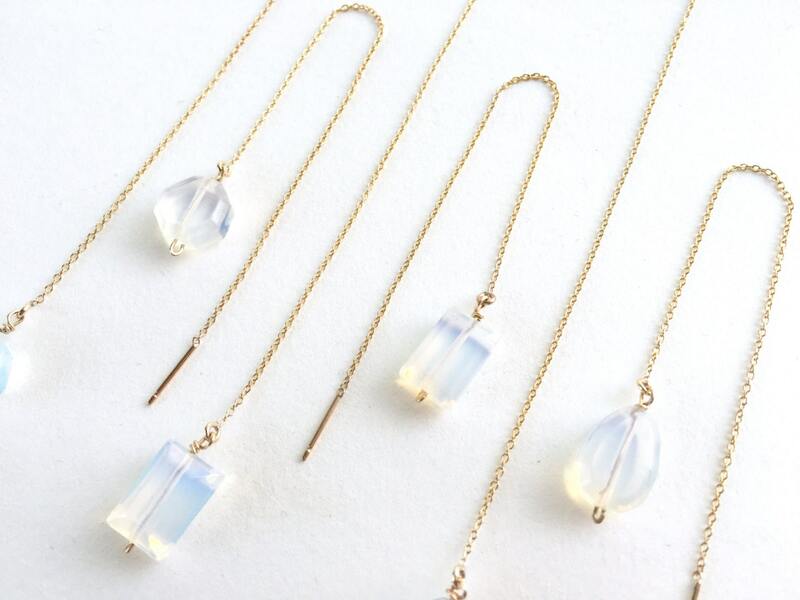 Opal is the stone of inspiration. It is believed to enhance creativity and innovation. 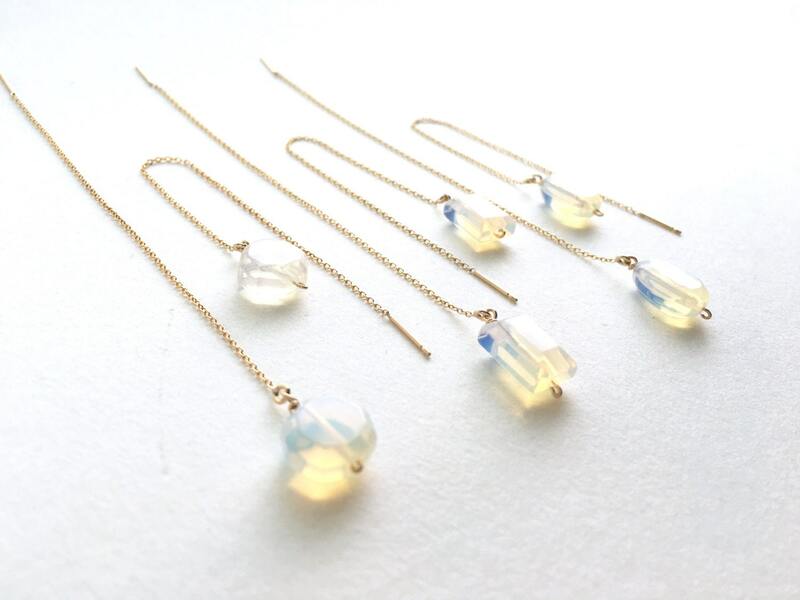 Wear these beautiful, delicate earrings as you adventure through a life of new ideas and dreams! 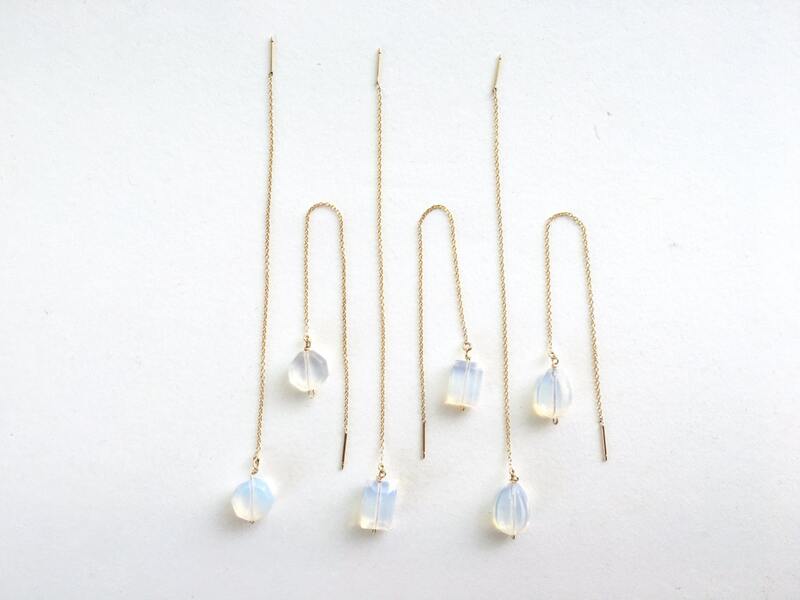 A faceted opalescent stone hangs at the end of a 14k gold-filled or sterling silver chain thread on these stunning earrings. You choose the stone shape! These earrings are approximately 3.75" in total length, approximately 1.75"-2.25" when worn. 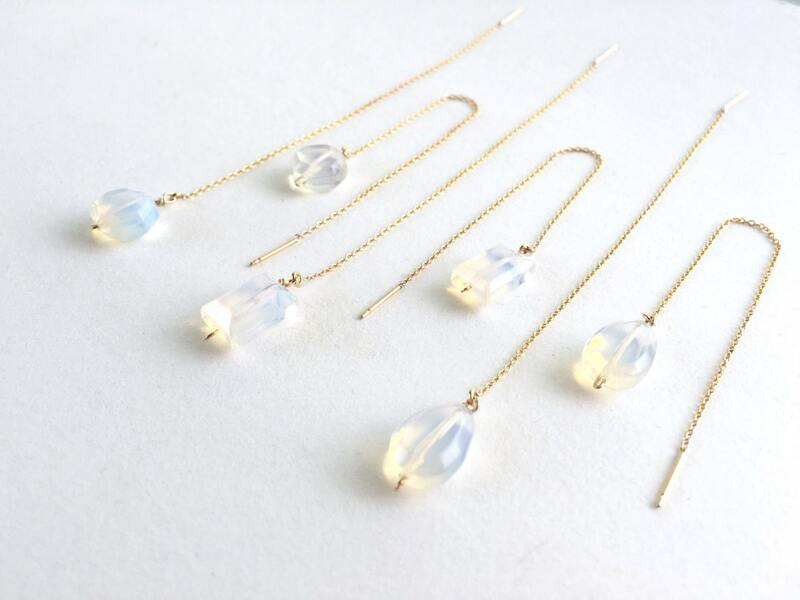 The length of the earrings can be adjusted when worn: pull through more for a longer earring. For the gold option, only 14k gold filled wire is used. 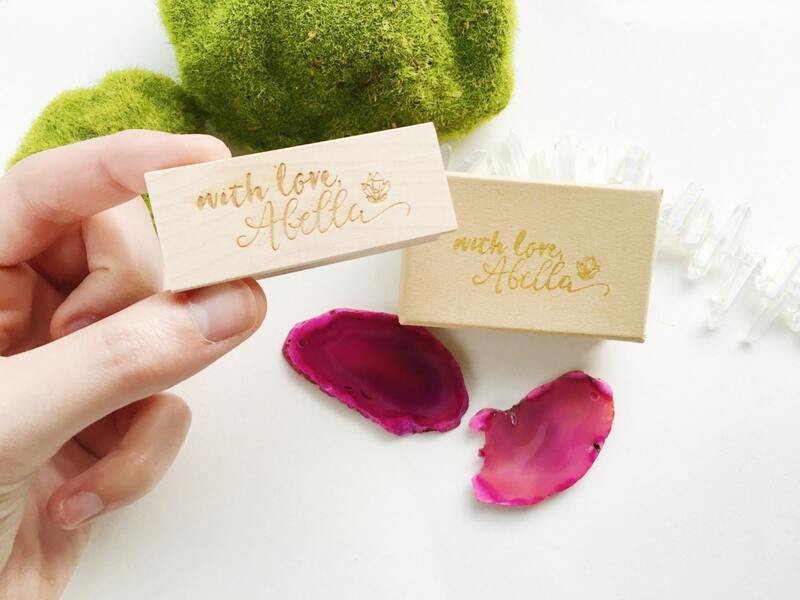 With reasonable care 14k gold filled materials will not peel or flake, and should last as long as solid 14k gold jewelry. It is safe for most people with sensitive skin.